When it comes to choosing tiles for your dream kitchen, it’s important to consider all of your options and the things you have to know before you start? Tiles come in a variety of materials like porcelain, ceramic, marble, glass, and more. We’ll discuss this in more detail later in one of the nine examples listed below. It’s also important to understand that your kitchen is one of the most used rooms in the house; therefore, choosing the right tile is vital for your floors and accent walls. 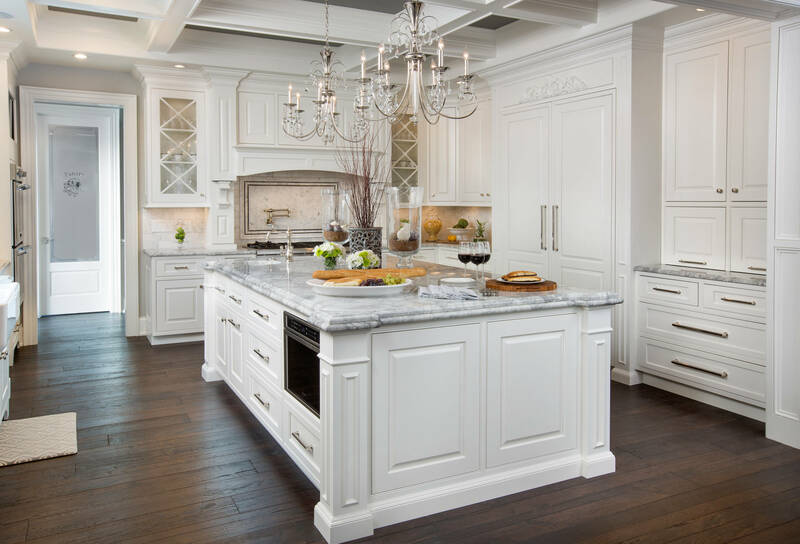 Designing a kitchen is usually centered around the floor. A floor can also dictate the color on the walls, trim, ceiling, cabinets, countertops, appliances, and glass subway tiles. You can see a great selection of glass subway tiles by visiting this website. Quality accent and floor tiles also have staying power, and they won’t need to be replaced for future modifications or makeovers. Make no mistake about it, these’s tiles can be expensive; however, it’s a solid investment and adds considerable resale value to your home and dream kitchen. So, here are the nine things you have to know before you install new tile floors and accent tiles. Unless you have a linoleum floor, it’s always a good idea to remove your old floor back to its original plywood state. This is important for correct installation and clearance under your door jams for the tiles. If you don’t have enough clearance under your door jams, it may be necessary to undercut them with a jam saw. You will also need to remove your baseboard trim. You can do this by inserting a 5-in-1 painter’s tool behind the baseboard next to the door jam and slowly peel it away. Depending on the condition of the baseboard, you may consider replacing them with a newer style that compliments your tiles. Backer board is also known as Wonder board, and it can be used for backing for glass subway tiles and kitchen floor tiles. It comes in standard size three-foot by five-foot sheets. Backer board also comes different thicknesses like 1/4”, 3/8”, 1/2”, 5/8”, 3/4, and one-inch. It’s made from thin layers of concrete that utilize mesh on both sides to provide an even and firm surface for the tiles to adhere to. Its composition allows it to withstand areas prone to moisture like bathrooms and kitchens. You will need a skill saw with a mason’s blade to cut it. It’s also a good idea to wear a paper respirator and cut them outside because they’re very dusty. There are different types of kitchen floor tiles. Some are more prone to chips and cracks while some have superior durability. They also come in all kinds of different shapes and sizes; however, the most common size is the 12″x12″ (1sqft) tile, and the average thickness is 3/8” or 1/2”. Accent kitchen wall tiles provide a textural and stylish alternative to wallpaper and paint, and a tiled accent kitchen wall can transform a kitchen with added dimension and bold colors. Accent kitchen wall tiles can be used as a focal point or used as a backsplash behind your kitchen countertops. Ceramic tiles are the most common, and they’re made from clay that is prepared, quarried, and formed into a mould and baked at high temperatures. Porcelain tiles are made in the same manner; however, they’re less porous and more denser than ceramic, which makes them impervious to moisture and harder than ceramic tiles. Glass tiles are tiny pieces of glass that are fire-glazed with a translucent material on the back of the tiles, and they typically come in 3”x6” squares. As we mentioned above, tile floors and accent wall tiles for your kitchen can be expensive, but that doesn’t mean that you can’t afford them? When you compare the cost of tiles to the beauty they add to your kitchen, it’s no comparison. Keep in mind, no matter the tile you choose for your floor or accent walls? It’s a one-time investment that will last for decades. Some bargain tiles can be bought for as little as .49sqft, and some exotic tiles like marble can go for $25sqft or more. Choose a tile that fits your budget and needs. To get your total cost, measure the square footage of the area to be covered, divide that number by the size of the tile, and multiply the result by the cost per square foot. Mosaic kitchen tiles are tiny tiles with decorative patterns, and they come with a cloth backing, which makes them a lot easier to install than it used to be before manufacturers added the mesh backing. Listellos are known as Italian finger tiles. You may recognize them by their curved edges, and they’re typically installed on top of tiles as a decorative feature. Transition pieces are required anytime you install a tile floor to join two separate floors together. They come with a metal track that is secured with screws and the tiles can be cut and rested up against them for a finish look. Other types include bullnose strips, reducer strips, and threshold strips. They can be bought with the same color of your tiles or matched to complement both rooms with colors like gold, silver, white, black, and different shades of brown. Any type of tile that requires a spacers to install will need to be grouted. Grout is an important component for tiles as it provides the finish look and locks the tiles in place. Grout can be purchased in a variety of colors that can make your dream kitchen truly unique. Designing your dream kitchen with a variety of tiles can give your kitchen a polished and sophisticated look that stands the test of time. It’s also a lot cheaper if you can do it yourself (DIY) versus paying a professional tile installer. There are a lot of great videos on YouTube that can help you with the proper installation techniques, no matter the tile you choose for your dream kitchen.